2003 Breedon Books, Hardback, 224 pages, b& w photos. ISBN 1859833462, now out of print in hardback. New book with edge wrinkles to rear dust jacket. Fully illustrated, in-depth study of one of the greatest of motorcycle racers. - Detailed account of Surtees's seven world titles plus descriptions of his greatest races. 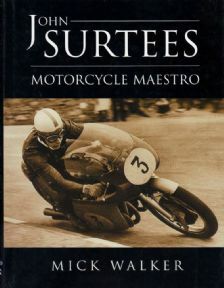 In the late 1950s John Surtees was the dominant rider in top-level British and European motorcycle racing. A precocious talent, he began riding competitively on Vincents in the early 1950s, then REGs and NSUs and Nortons. He swiftly established himself as one of the quickest and most determined competitors. He confirmed his outstanding qualities as a rider when he won his first world 500cc title for MV Agusta in 1956, and this triumph was followed by six more titles, three at 350cc and three at 500cc. From 1958 to 1960, he was rarely beaten and usually he won by a huge margin. In this fully illustrated and in-depth new study, Mick Walker reassesses Surtees's remarkable record and explores the background to his achievement. He recalls Surtees's early introduction to the sport, his rapid development as a rider and his years of dominance. The technical side of Surtees's career - the bikes he rode and his considerable skills as a mechanic and engineer - is covered in detail. The book gives a fascinating insight into the intense motivation that often gave Surtees the edge over his rivals and laid the foundation for the success that followed. As a rider Surtees was not only exceptionally fast, safe and consistent, but he was also technically adept and innovative. His race-preparation was meticulous and single-minded, and this professional attitude to the sport marked him out from his contemporaries. 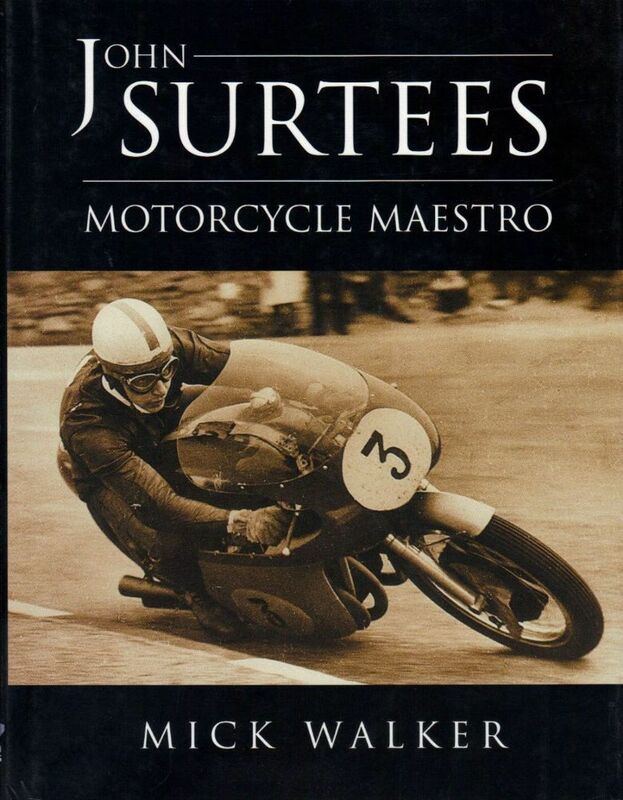 In many ways Surtees is the precursor of later generations of fiercely dedicated, perfectionist riders like Kenny Roberts Snr and Mick Doohan, and the time is right for a reassessment of his contribution to the sport.